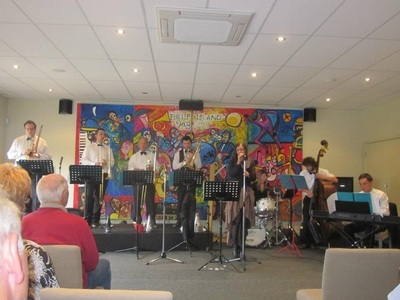 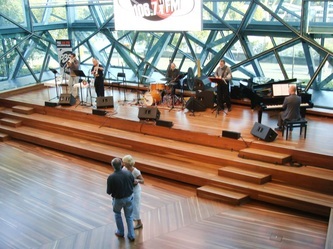 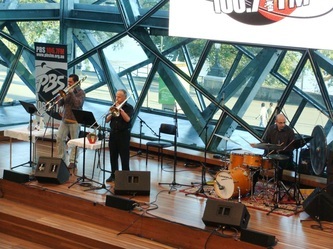 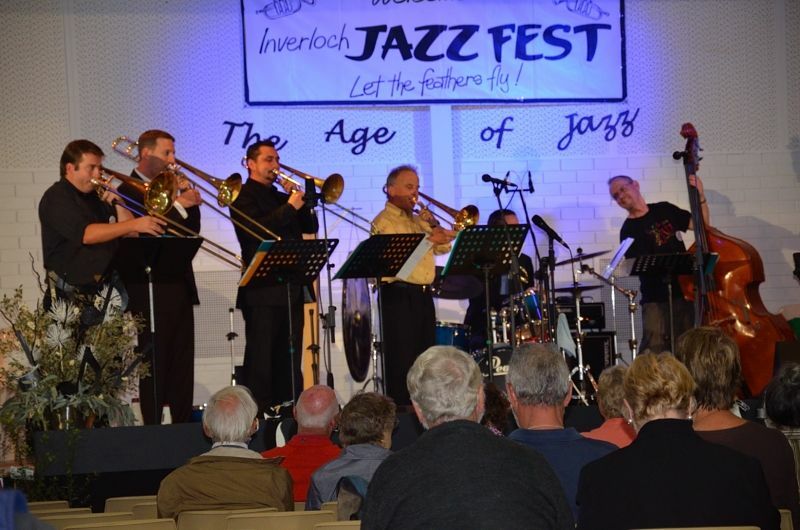 LazyBones has been on the Melbourne jazz scene since the middle 1980s and has delighted audiences ever since with our unique instrumentation, extensive repertoire of well-known and unfamiliar tunes and songs, and varied presentation. Our music is tuneful and melodic and is lots of fun to listen and to dance to. A very common audience reaction is “I didn’t know trombones could sound like that!”. 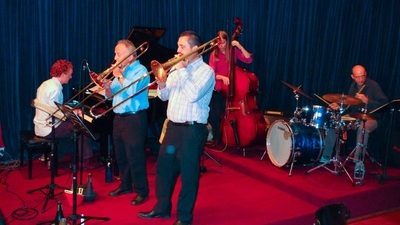 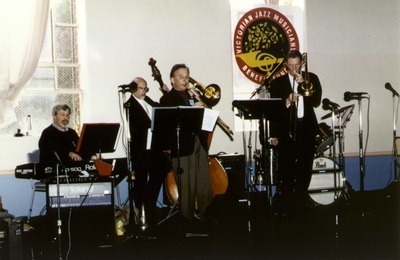 After many years as a quintet, modelled on the J. J. Johnson - Kai Winding group of the 1950s and '60s, Don decided to add two more trombones and a singer in order to give a bigger sound, more variety in arrangements, and backings ranging from lush 'orchestral strings' to shouting big band for the singers. Our singers have included Emma Sidney, Louisa Rankin, Mary Louise Hatch, Sarah McDonald, Jennifer Lee and Maryanne Smart, all of whom bring out the emotions in ballads and the excitement in the up-tempo songs. 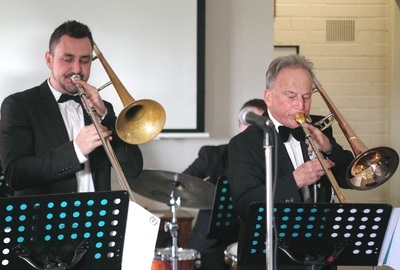 An important reason for forming LazyBones in the first place was to give more opportunities than is usual in small band settings for trombone players to strut their stuff. For instance, Eric Budd’s prowess on the trombone has to be heard and seen, and will open your eyes and ears to the capabilities of the trombone in expressing the essence of jazz and improvisation. 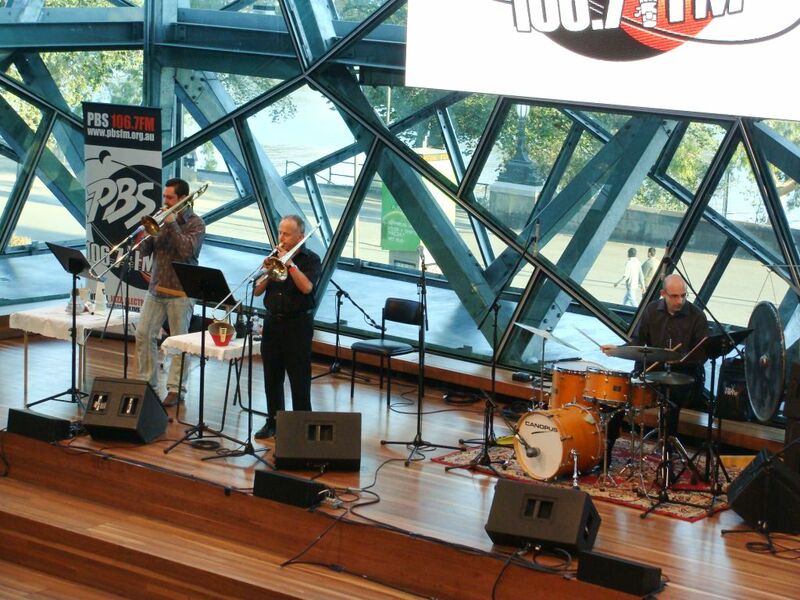 It has been a pleasure to have many of Melbourne's finest 'bone players in the LazyBones line-up, and long may it continue. 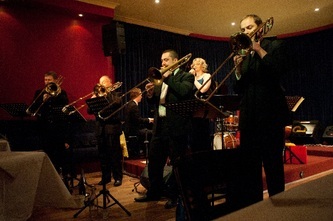 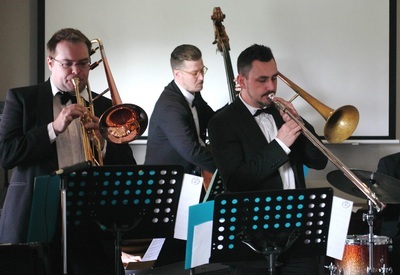 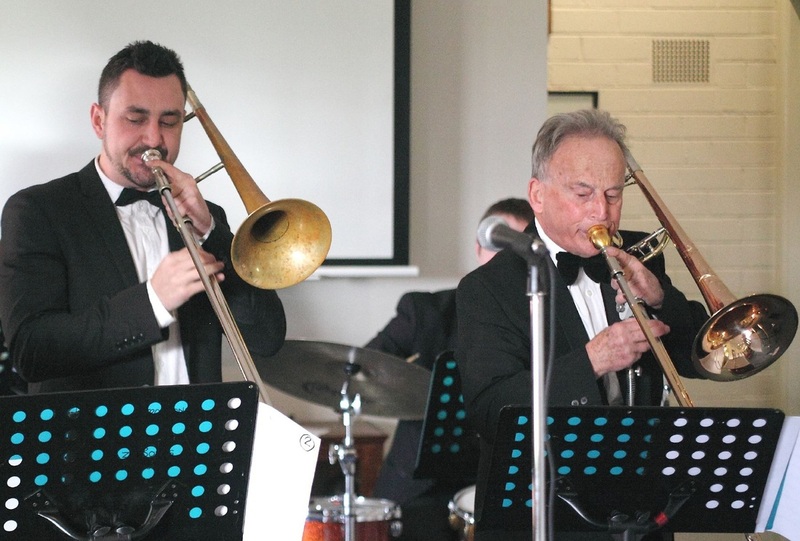 We can provide excellent music for a range of occasions – indoor and outdoor, listening and dancing, formal or informal – wherever accessible, happy and expressive jazz is wanted. 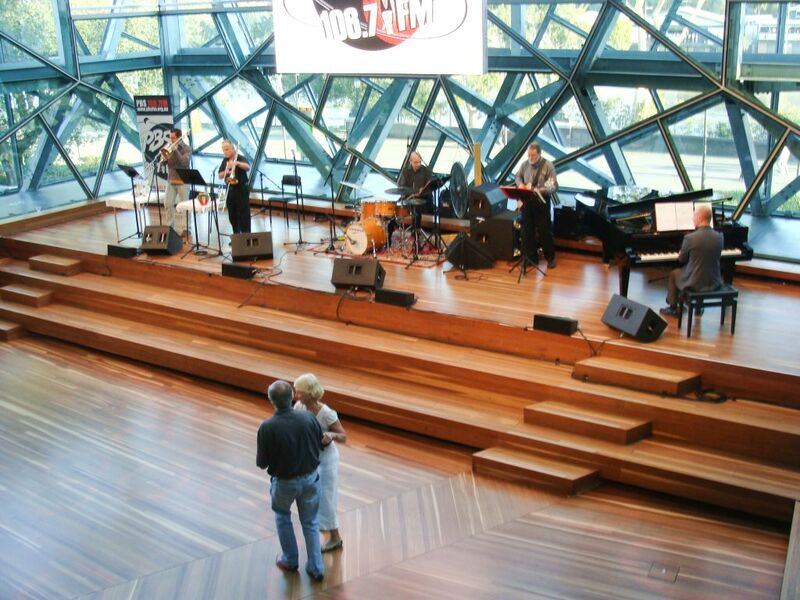 Please contact Don to discuss your needs.